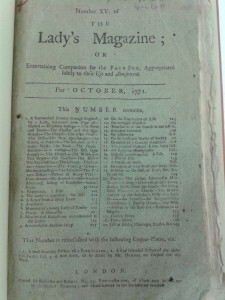 The patterns in the Lady’s Magazine have been a subject of ongoing interest to those of us who work on the periodical. 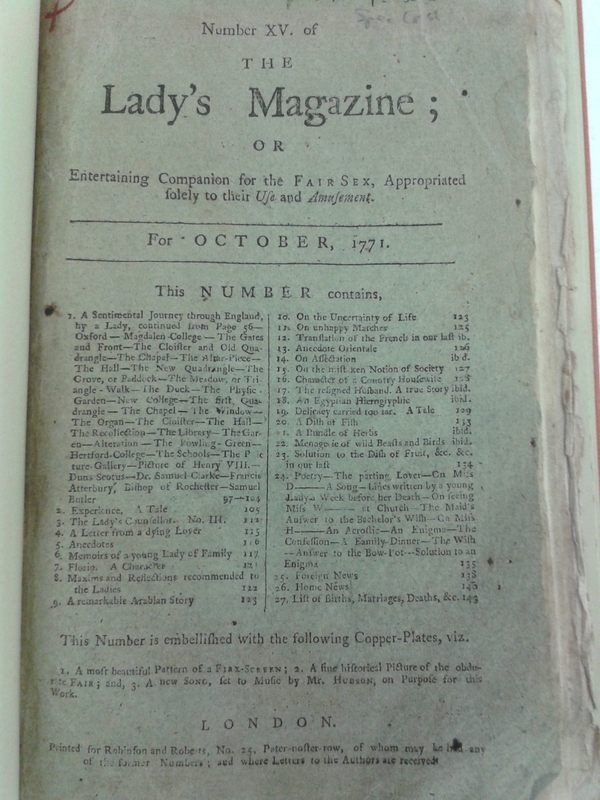 Often missing and eluding our searches they are one of the non-textual aspects of the magazine (such as the song sheets and engravings) that can bring to life the way the magazine was read and used by its eighteenth-century readership. 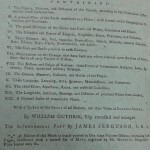 When missing, the patterns point to their own popularity – cut out and removed for use, we can only guess at their content by their inclusion on the monthly title page. 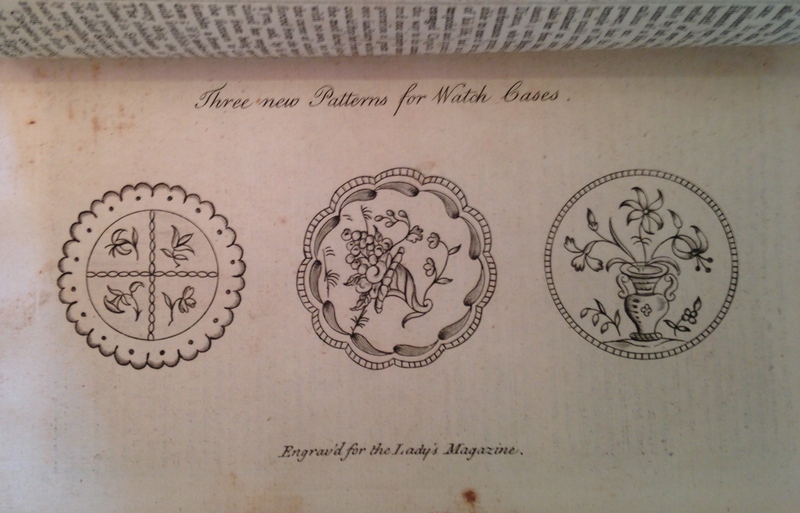 My own copy of the Lady’s Magazine included an engraving of three different patterns for watch cases not present in the online edition. 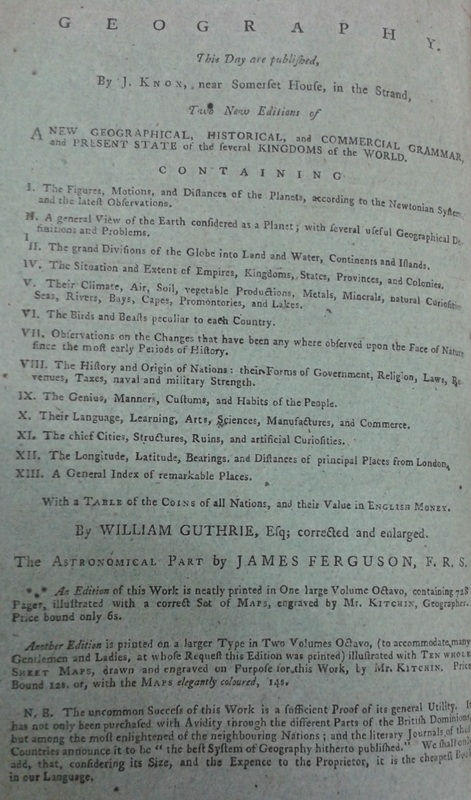 And the copies of the magazine recently purchased by the project’s principal investigator, Jennie Batchelor, also included many patterns that we had never seen before. 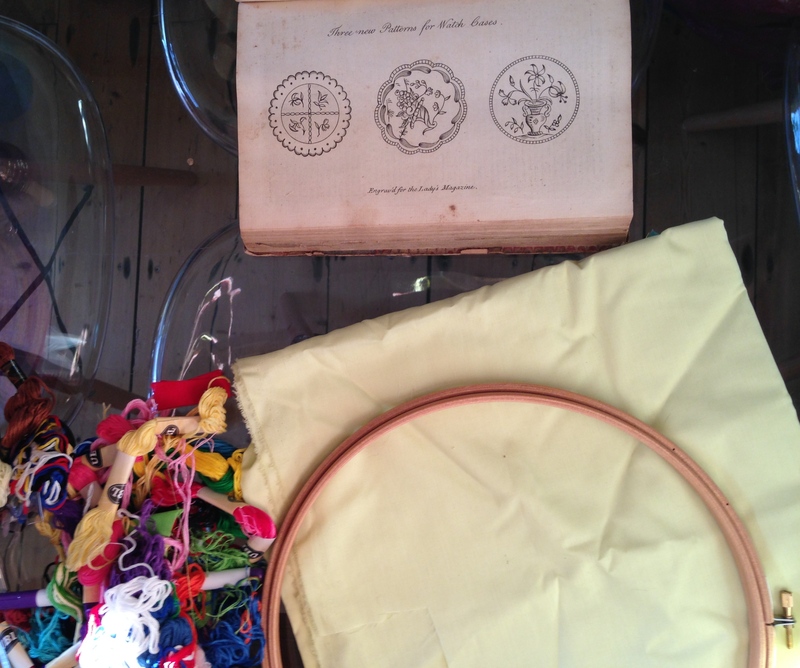 Spurred on by these finds, and the interest they attracted from those who follow our twitter feed and blog, I decided it was time to take up needle and thread for a rather different kind of blog. It had been quite a while since I had embroidered anything, but I still had all the supplies (embroidery hoop, fabric, needles, thread) that my mom had given me years ago. 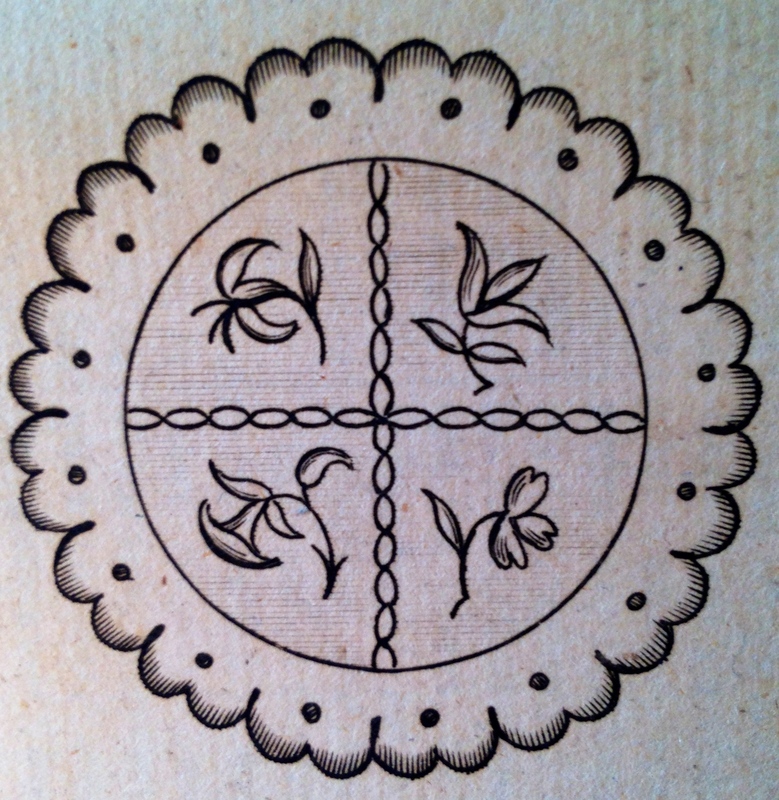 Attempting to embroider the pattern in September in my copy of the 1775 magazine, I began by using a picture of the pattern that was on my computer and simply tracing it onto a piece of paper . 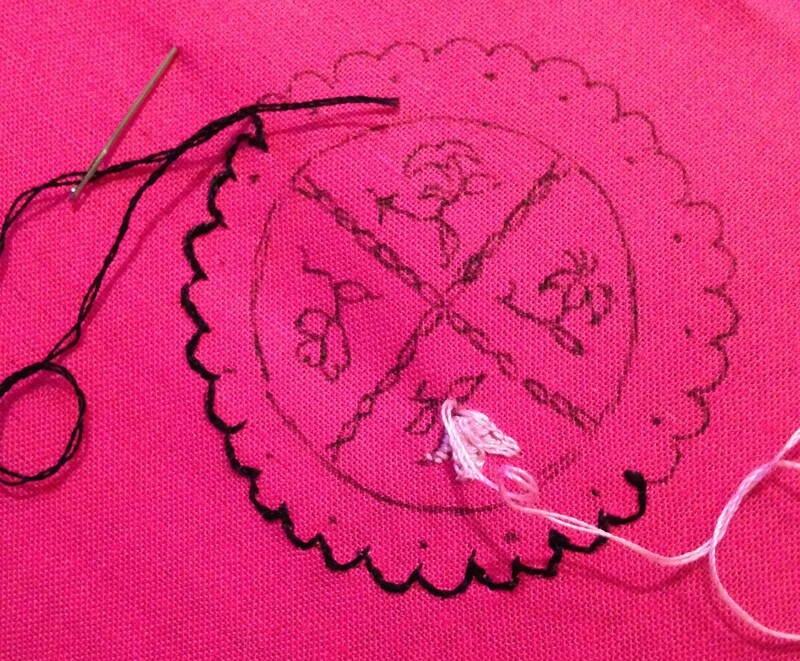 I then used this template to trace the pattern onto a piece of fabric and used that as my working pattern. 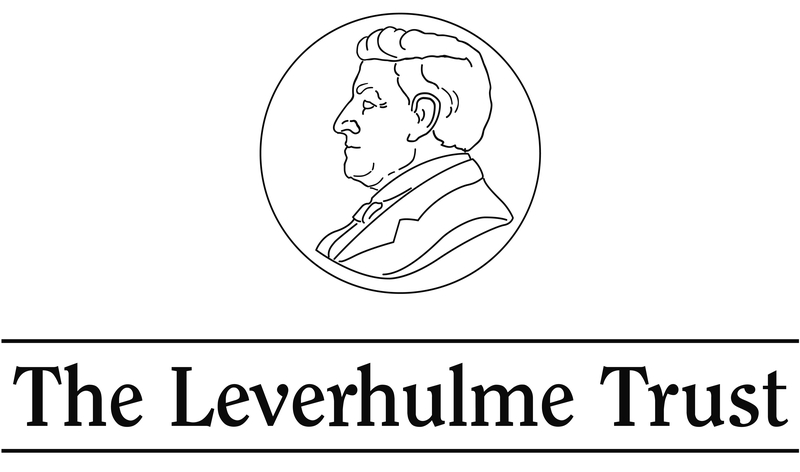 Searching for inspiration I found a recent blog on the Textile Research Centre website that feature a late eighteenth-century embroidered watch paper and that listed the types of stitches used in the pattern. Refreshing my memory on types of stitches on another useful blog post on Sarah’s Hand Embroidery Tutorials I began to embroider. In fact, once I got into the swing of stitching, I found the project absorbing. Having changed my mind about the black running stitch border, I pulled out that first attempt in favor of a white chain stitch. I used a stem stitch for another internal border and the flowers stems, a satin stitch on the petals, and another chain stitch to divide the pattern into its quadrants. 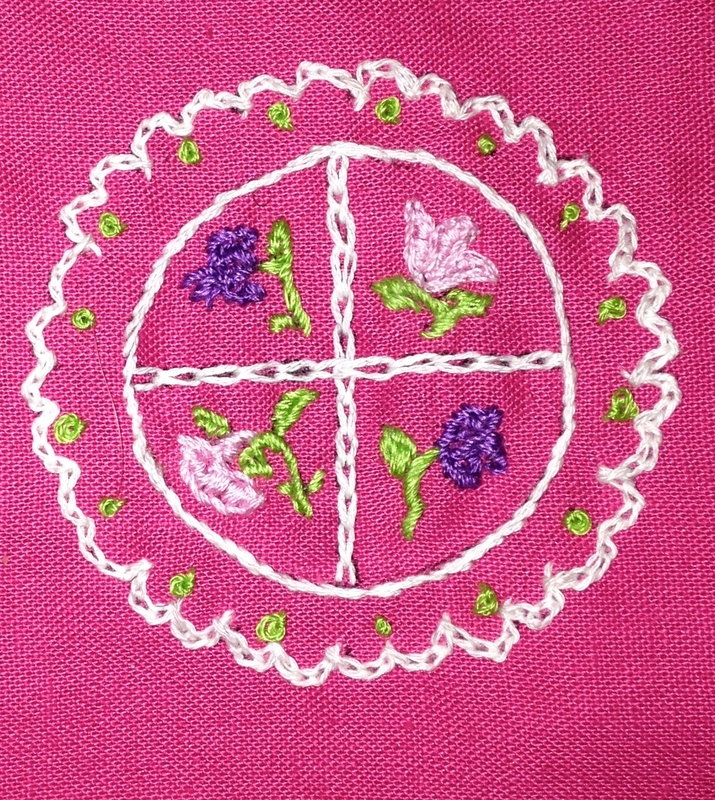 The small circles, I imagined, would have been a knot stitch, so I used a basic French knot in green for that final section. The end result, which is my first attempt at embroidering in years, is far from as polished or precise as I would like. 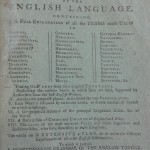 But it gives a sense of the material culture that was so much a part of the magazine for its eighteenth-century readers. 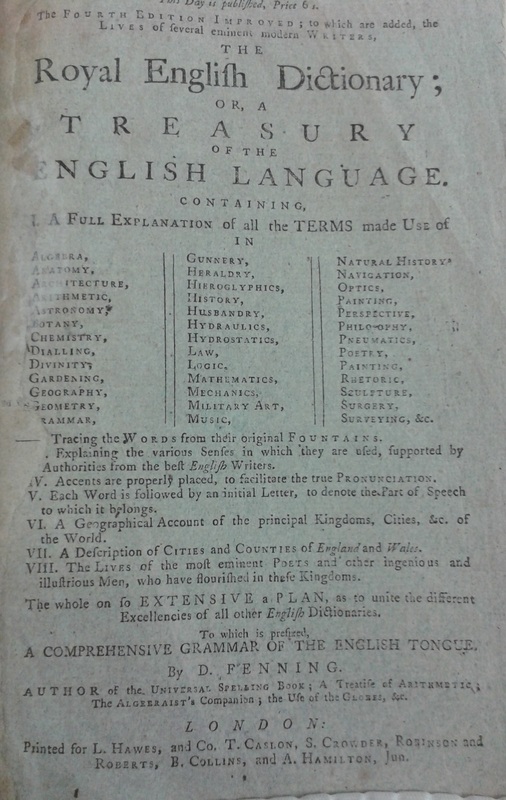 This physical, material object, created from a pattern printed in 1775, helps me to see and feel the non-textual afterlife of the magazine in a tangible way. This kind of experience — stitching the patterns of the past — brings history into the present in a way that I find extremely exciting. This entry was posted in Uncategorized on December 7, 2015 by jd359.